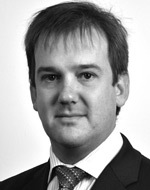 Martin Roets is a principal with Strategy& and is based in London. A call to arms for the digital executive. Companies benefit from strong IT leaders. The trick is developing and retaining them.